Eeeeeek! So, this happened today! I have been traveling to the Bentley headquarters office in Exton, Pennsylvania quite often lately. Exton is about 35 miles outside Philadelphia, so there are a lot of opportunities in that area that I would not normally experience in Arab, Alabama. Jodi Picoult making an appearance to sign copies of her latest book is one of them. A book that I had just read because I got an Advance Reader’s Copy (ARC) in the summer. And where was Ms. Picoult going to sign these books? Not B&N in Center City Philly. Not in some hoity-toity private home on the Main Line. No! She was going to be in MY HOTEL in Exton!! Unfortunately, I am in meetings all day, every day. There is no way I could sneak out; and, I even dangled a little bone in front of my boss, giving him the opportunity to say, “Yes, Carmen! Sneak out at some point and take advantage of this one-in-a-lifetime opportunity.” No go. I had talked about the event with the hotel staff since I arrived, and they knew how star-struck, fangirl I was. 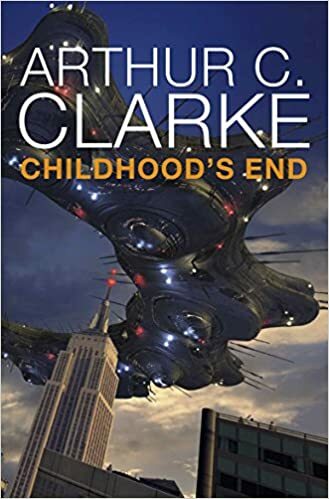 When I returned to the hotel after dinner on the evening of the event, there was a personalized signed copy, waiting for me with my name on a sticky note on the cover. Marchon is the front desk manager, and he was the one responsible for getting this signed copy for me. And he refused to let me pay him for the book. I don’t know what else to say other than I am now a fangirl of both Jodi Picoult AND Marshon at Hilton Garden Inn in Exton, Pennsylvania. Oh, and Eeeeeek! 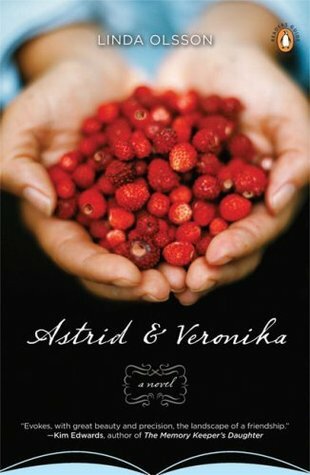 When I first picked up Linda Olsson’s novel Astrid & Veronika, I was drawn to the cover. The simplicity of the photograph, along with the simplicity of the title. And yet, there were so many layers to these two things. The cover of the book is a pair of hands holding picked fruit. The colors are stunning. Creamy white hands and blood red berries. Light blue at the top of the photo, and black at the bottom. And the title: the names of two women. Not only names, but unusual and old-fashioned names, at least by today’s standards in the United States. The book promised so much, just in the cover visual. I was not disappointed. 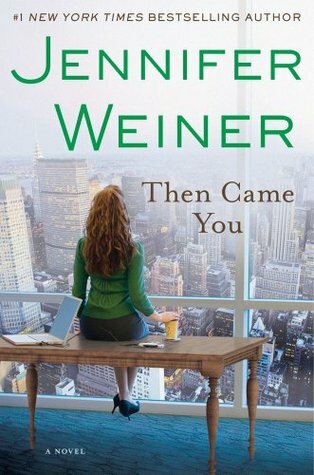 I read this book and fell in love with the author. There is the landscape, the seasons, the land. My native Sweden. In a sense perhaps the book is a love letter to the country where I was born. Perhaps it is a letter of farewell. But, more importantly, I think it is a book about friendship. 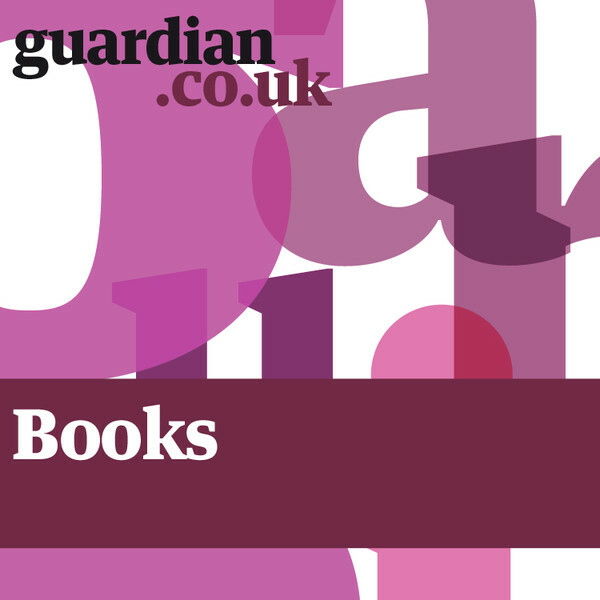 The novel tells a story of an unusual and unexpected friendship. It describes the strength that is to be found in friendship, the comfort and perhaps the love. It describes how a deep friendship can be found and developed anywhere, anytime, at any stage in our lives and between persons who may superficially seem to have very little in common. Because of the simple manner in which she writes, her stories are personal, completely relatable, and poignant. When I say “simple”, I mean that Ms. Olsson does not rely on archaic words and seldom-used phrases that put some authors out of reach. Her words are charged with visions, emotions, and longings. Her descriptions enable you see clearly in your mind’s eye where the characters reside, make your mouth water when they prepare meals, and tug at your heart when there are joys or conflicts. Only a few authors are able to reach me in this way, and I have added each of her published novels to my collection. As a matter of fact, when I see one available, I purchase it to give away. I want everyone to find what I have in her works. I hope you will seek out Linda Olsson and add her to your reading list. I was listening to a Guardian Books podcast in which Kazuo Ishiguro was interviewed. I just received a signed copy of his latest book, The Buried Giant, and I was curious to get to “know” him better. He was asked repeatedly about the dragon in the story. So often, in fact, that he asked the moderator, Claire Armitstead, why she was so interested in the dragon. She then proceeded to talk about its allegorical nature, and what it could tell us about ourselves. That is when Ishiguro said something very interesting. I am guilty of the same thing Armitstead did. I read with the understanding that the author has the entire world at his fingertips. If he chooses one thing over another, that is integral to the story, I tend to think there is a reason for it. 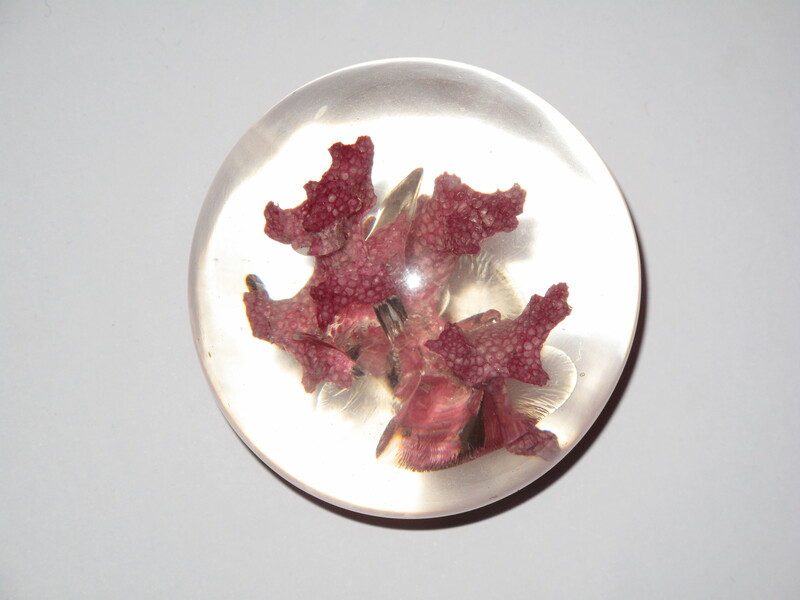 Take, for example, the coral paperweight in Orwell’s 1984. It can mean a variety of things: it is a thing of beauty and frivolity in a society where such things are illegal. It can symbolize the main character, Winston, in that he is a fragile being surrounding by a harsh and firmly-shaped society. It may characterize Winston’s hopes and dreams, which are destroyed along with the paperweight. And I think that we, as readers, are conditioned to do this. From high school English classes where teachers encourage us to find the meaning behind poetry, or discuss the allusions in a Dickens novel, we are pushed in this direction. I don’t think it’s a bad thing to try to figure out the deeper meaning of the use of music in Ann Patchett’s Bel Canto; however, here it would appear that the dragon is just that: a dragon. 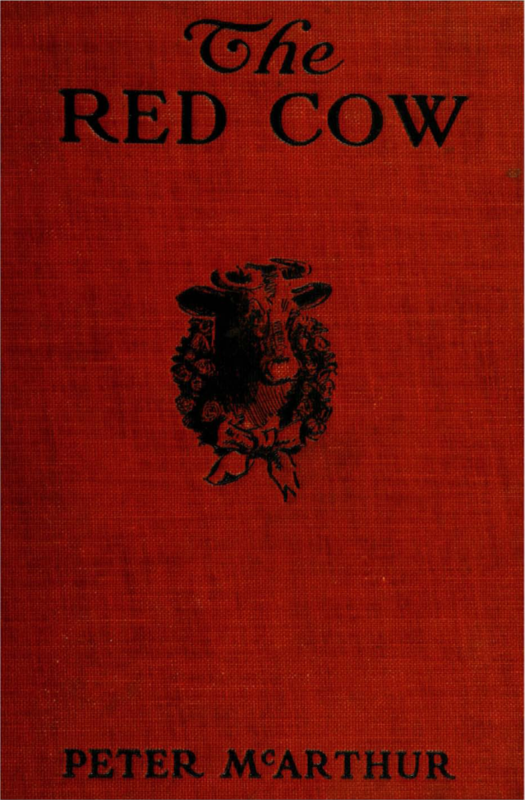 I happened upon “The Red Cow and Her Friends” by Peter McArthur (March 10, 1866 – October 28, 1924) recently, and found it so cute. It is nicely written with great feeling, as if the author was truly a friend to the animals which are his subjects. The item which really intrigued me, however, was one sentence in a review I read, “Mr. McArthur is no mere æsthete, no lackadaisical dilettante, but is alive to his finger tips; and all his writings fairly tingle with life.” Isn’t that the loveliest thing to say about an author?? McArthur was an educated Canuck, father of five, and slogged the journalist – asst editor – editor -in-chief route. He wrote poetry and essays, while working a farm. Raised on a farm by Scottish-immigrant parents, he developed a love of all things farm-ing , but I think his true love was writing. It is reported that his favorite writing spot was a tent in his woodlot. If there were more published works from him, I would consider comparing him to Thoreau, with more of a penchant for the fauna rather than the flora. Perhaps a touch of Alf Wight (known by his pen name of James Herriot), but from the owner’s perspective. McArthur’s writing feels more like a diary, never meant to be read and certainly never criticized, due to the personal nature of his musings and observations. Because of this relaxed style, he has been chastised for hasty and uneven writing. However, his columns were for newspapers, which had a penchant for schedules and little eye to quality of content. His themes were of the common man, and salt-of-the-earth living. Garrison Keillor probably owes much to Mr. McArthur. Pick up a copy of his collected essays today, and let me know what you think!